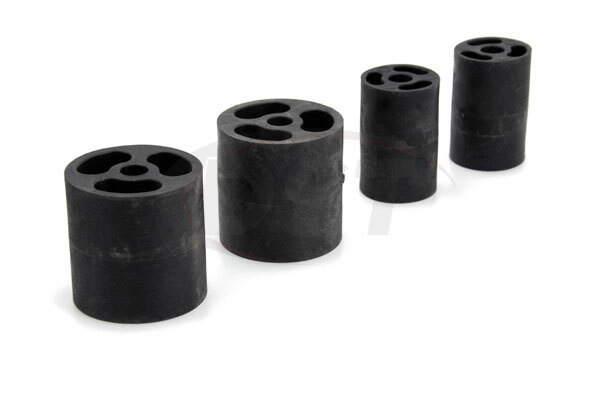 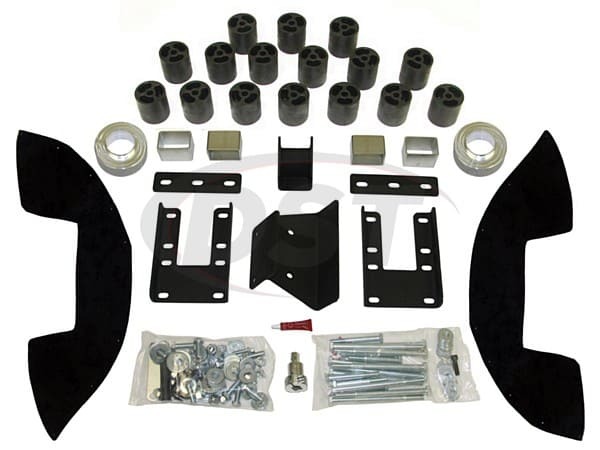 Fits 4WD models with gasoline engine (non air-ride) including standard, extended, and crew cabs. 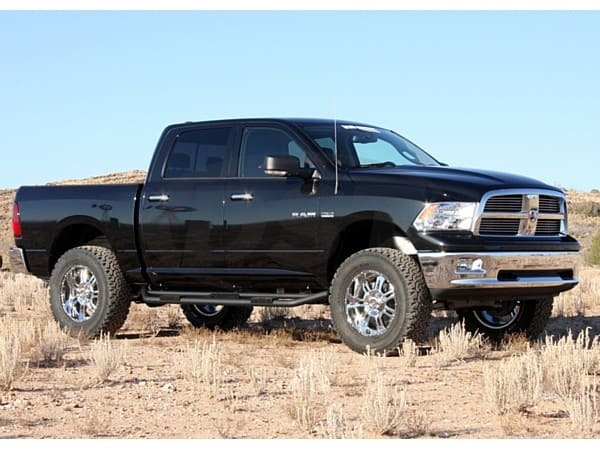 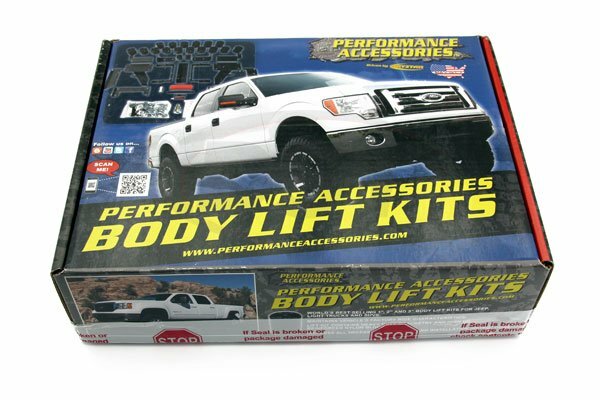 Performance Accessories PLS600 Premium Lift System raises the vehicle 5-inches, by combining the companys high-quality body-lift and leveling kit, allowing the vehicle to run up to a 36-inch diameter tire. 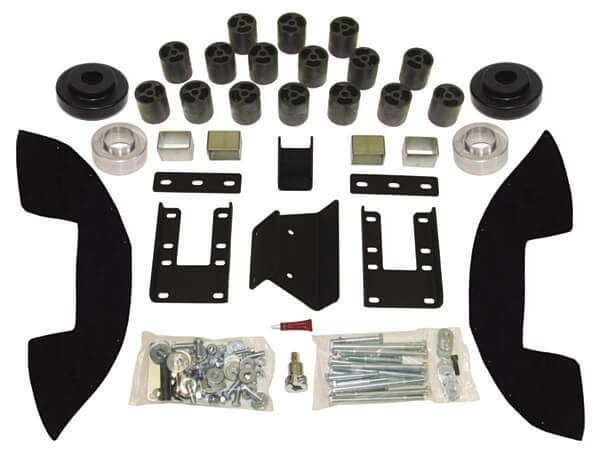 The kit includes front aluminum coil spring strut spacers, high pressure fiberglass reinforced nylon lift blocks, 3/16 inch thick laser cut and powder coated bumper relocation brackets, a CNC machined and zinc plated steering extension, high strength hardware, extension brackets, and urethane wheel-well extensions (Gap Guards) that conceal any gaps between the body and frame. This system can be installed in 7 to 8 hours and comes complete with everything necessary for installation.